Local lad Danny Rowe joined Fylde in August 2014, signing a deal with the club just a few days before the Conference North season kicked off. In his debut season at the club, Rowe scored an impressive 35 goals in all competitions as the Coasters narrowly missed out on promotion losing in the Play-Off semi-finals to Guiseley. In the 2015/16 campaign, Rowe was Fylde’s top scorer once again with 31 goals. He was also tied with Dayle Southwell of Boston United on 24 goals for the Golden Boot as Fylde agonisingly lost in the playoff final to North Ferriby United. 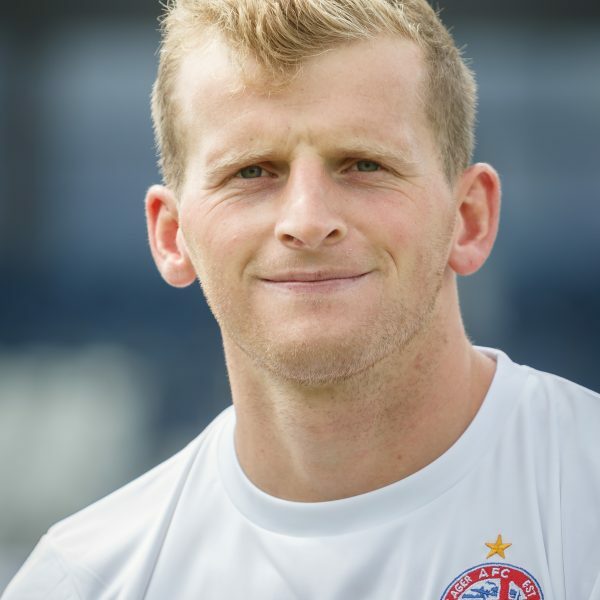 spectacular season, Rowe signed a new two-year deal with Fylde in July 2017 keeping him at the club until 2019. The goals haven’t stopped as last season Rowe scored 24 goals in all competitions including 2 goals over 2 legs in the FA Cup Second Round vs Wigan Athletic.